There are plenty of ways to explore the Mesa Verde National Park along with numerous tours to choose from. You might choose one of the popular ranger-guided tours or you might want to explore at your own pace. Check out all the different options. Get the best value for your Mesa Verde tour with Durango Rivertrippers. You'll save time, gas, and entrance fees when you book a group guided tour. The $149 price for adults includes a full sack lunch and covers the cost of park and guided ranger tickets in season. Your group can sit back and relax on the way in comfortable heated/air conditioned vehicles while you learn more about the history of Mesa Verde. 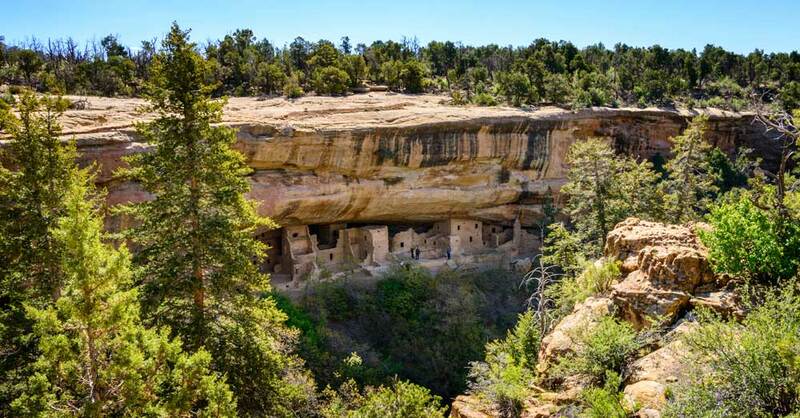 If you're looking to get a VIP experience on your Mesa Verde tour, this is the package for you. This private Mesa Verde tour is perfect for small groups who want a personalized tour with their very own private guide. You get to choose what you spend the most time on: the overlook areas, cliff dwellings, or the kivas that you can walk into. This tour is catered to your interests. 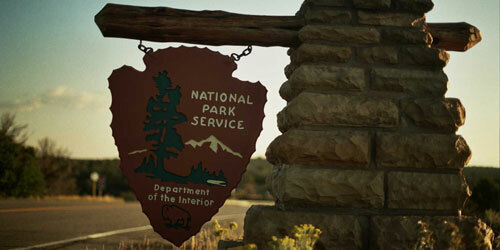 The Mesa Verde National Park offers numerous ranger guided tours. The Chapin Mesa tours include Cliff Palace, Balcony House, Spruce Tree House and A Twilight Tour of Cliff Palace and one Wetherhill Mesa tour, Long House. Tickets for guided-tours must be purchased in person at the Far View Visitor Center, Morefield Ranger Station, Colorado Welcome Center, Cortez and Chapin Mesa Archaeological Museum. Cliff Palace. Mesa Verde’s largest cliff dwelling. This one-hour, ranger-guided tour involves climbing five, 8-10ft ladders, on a 100ft vertical climb. Total walking distance is about 1/4-mile, round-trip. The tour begins at Cliff Palace Overlook, an 8-mile, 20-minute drive from the Visitor Center. Balcony House. Adventurous cliff dwelling tour. This one-hour, ranger-guided tour involves climbing a 32 ft. ladder, crawling through a 12ft.-long tunnel, and climbing up a 60ft open rock face with two 10ft ladders to exit the site. The tour begins at the Balcony House parking area, a 10-mile, 25-minute drive from the Visitor Center. Twilight Photography Tours. Join historical figures from Mesa Verde’s past for a 90-minute tour of the park’s most popular cliff dwelling, Cliff Palace. These characters, locked in their own time period, will give a fascinating perspective of their Mesa Verde experience. Long House. Mesa Verde’s most in-depth tour. Starting with a tram ride to and from the trailhead, this 90-minute, ranger-guided tour involves climbing two 15ft ladders within the site. The round trip hike is 3/4 mile, with a 130ft gain in elevation upon exiting. Tour begins at the Wetherill Mesa information kiosk, a 12-mile drive from the Visitor Center. Allow 45 minutes for this drive. Vehicles over 25-feet long are prohibited on this road. Self-Guided Tours at Mesa Verde are also available. You can explore at your own speed and only visit the things you really want to see. 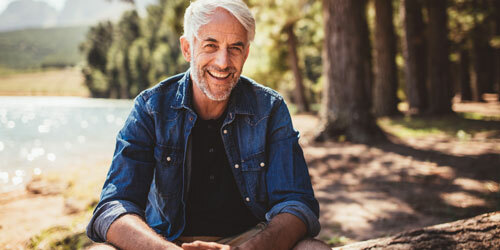 Chapin Mesa self-guided tours include Spruce Tree House, Mesa Top Loop Road, Far View Sites Complex and Cedar Tree Tower. The Wetherill Mesa tours include Step House and Badger House Trail which are only open Memorial Day through Labor Day. Mesa Top Load Road. A 6-mile driving tour with short, paved trails. Twelve easily-accessible sites, including surface dwellings and cliff dwelling overlooks. Highlights include Sun Point Overlook, Square Tower House, and views of Cliff Palace from Sun Point and Sun Temple stops. Overlooks also found on the 6-mile Cliff Palace Loop Road. Far View Sites Complex. Far View House plus four other villages and a dry reservoir on a level 3/4-mile unpaved trail. Four miles north of the Chapin Mesa Archeological Museum. Open 8:00 a.m. to sunset. Cedar Tree Tower. Mesa Top Tower and Kiva. Ancestral Puebloan tower and kiva complex can be viewed from the road. Open 8:00 a.m. to sunset. Step House. Pithouse, Petroglyphs and Cliff Dwelling. A 100ft descent and ascent on a winding path. Total walking distance, 3/4-mile round-trip. Allow 45 minutes to one hour. Trail begins near the Wetherill Mesa kiosk. Badger House Trail. Trail to four mesa top sites. The 2.5 mile trail to Badger House Community surface sites begins at Wetherill Mesa Kiosk. Combination gravel and paved trail. If you prefer, take the tram to or from the Badger House tram stop and shorten the trail to 1.5 miles.